Located in the heart of Berlin’s trendy Friedrichshain district, this modern hostel is close to bars, boutiques and restaurants. Bright rooms, a 24-hour reception and a breakfast room are offered. A hearty breakfast buffet is available every morning at All In Hostel, and packed lunches are available. The bar serves drinks and snacks, and features a pool table and Wii console. 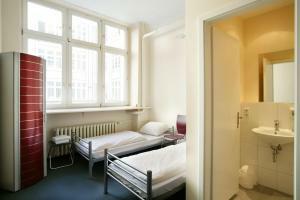 The colourful rooms and dormitories at All In Hostel Berlin have either a private or shared bathroom. Wi-Fi access is available in the rooms for an extra fee, and there are internet terminals in the lobby. 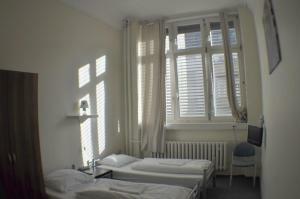 Tours of Berlin’s sights such as the Brandenburg Gate and the East Side Gallery can be booked at reception. Bikes are also available to rent. Frankfurter Tor Underground station and Warschauer Strasse S-Bahn Train Station are both a 10-minute walk away. Business travellers and guests travelling due to educational reasons are asked to provide written confirmation to avoid paying tourism charges. 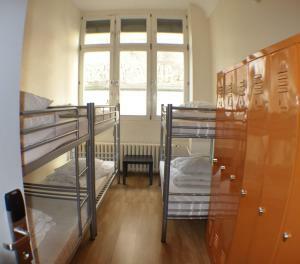 Please note that the hostel is often used for groups. 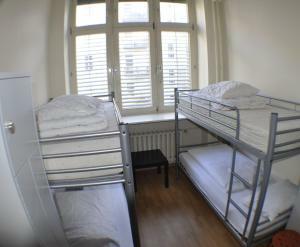 You may get a room with more beds than booked (such as a 4-bedroom as a twin room). There will be no surcharge for this. Bright room with simple furniture and a private bathroom. 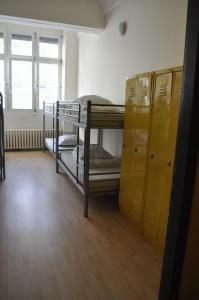 Please note that a 4-bed or 6-bed dormitory may be offered as a Twin Room. Brightly decorated room with simple furniture. Shared bathroom facilities in the hallway. Features a private bathroom. The room rate shown is based on 4 guests. Maximum occupancy is 8 guests (see Hotel Policies). Colourfully decorated dormitory. Shared bathroom facilities in the hallway. Colourfully decorated room. Shared bathroom facilities in the hallway.